Using a template created in Lyra and customized in Vega (a D3-based language), we explore the interactions among the top 30 characters in Game of Thrones (data from the books on which the series is based.) 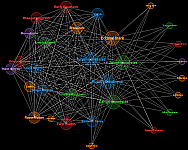 Colors are indicative of “alliances” or groups and sizes of each character are indicative of their appearances interacting with the other top 30 characters. This data was originally compiled by Jerome Cukier and visualized beautifully on his web site using D3. You can read more about the data and how he collected on his site. 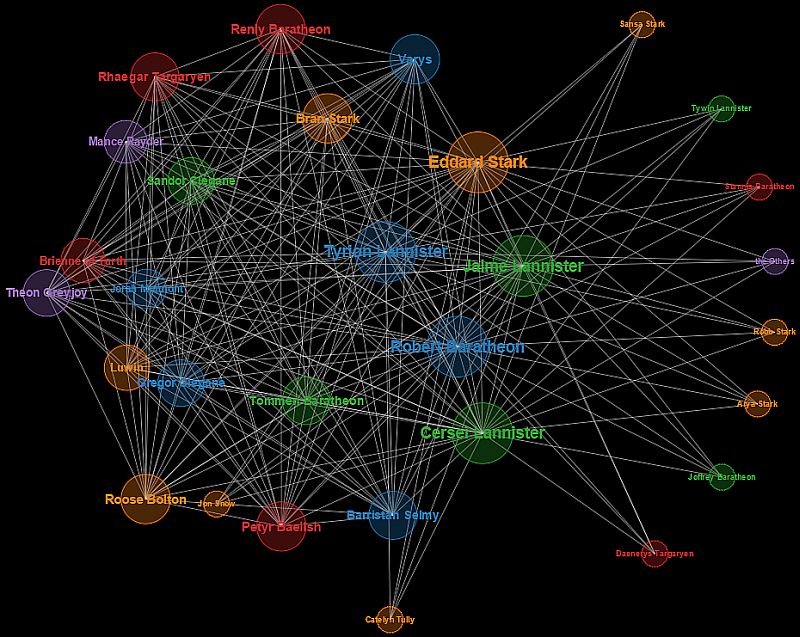 Here is the ranking and number of mentions of the top 30 characters in the books on which Game of Thrones is based. Here is the ranking and number of interaction mentions between the top 30 characters in the books on which Game of Thrones is based.